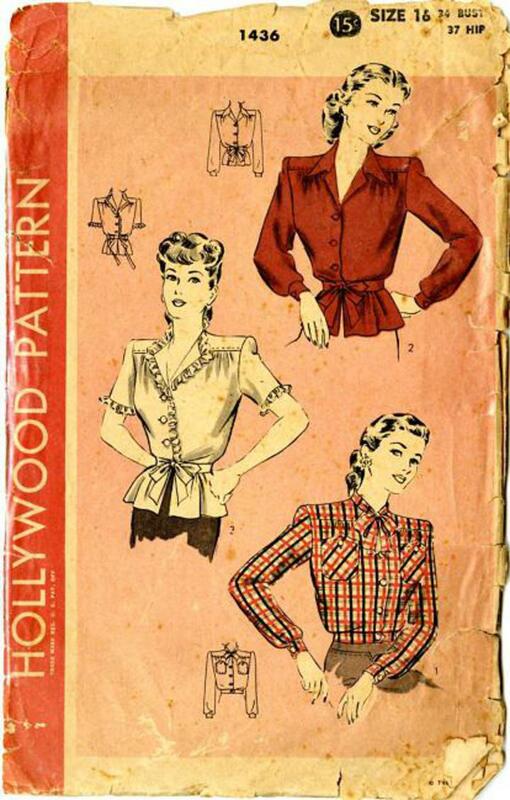 1940's Hollywood #1436 vintage sewing pattern, misses' set of blouses, size 16. Three versions, gathers front and back below shoulder yokes. Two large patch pockets are optional. 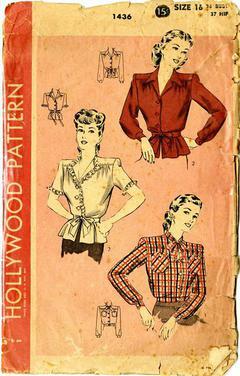 Notched collar, tied collar or revers with ruffling. Finished on buttoned waist-band, with or without gathered peplum and ties attached to band. Long or short sleeves.